Every company is an information company today, and transforming for the digital era requires looking beyond the ERP systems that have played such a central role in the corporate world over the past few decades. That's according to Mark Barrenechea, CEO and CTO of OpenText, which makes enterprise information management (EIM) systems. Enterprise resource planning technology allowed companies to automate back-office processes and reduce their general and administrative expenses from 20 percent down to 5 or 6 percent, Barrenechea explained in an interview last week. EIM, however, "will ultimately transform those same companies into information companies," he said. It goes without saying that Barrenechea is biased -- unabashedly so. But it's an "educated enthusiasm," he says. With 30 years of tech-industry experience under his belt -- including executive stints at Silicon Graphics International, CA and Oracle -- Barrenechea has seen his share of disruptions and transitions. He ranks today's digital era among the most disruptive. "We're at this point in time that has extreme connectivity like we've never seen before combined with extreme automation and extreme computing power," he explained. All that is enabling previously unimagined business models. At the same time, there's also a generational shift occurring with the arrival into the workforce of millennials, who bring a new set of priorities. "Certain things are clear," Barrenechea said. "They're not going to take two years to deploy an app: If the CIO can't do it, they'll build a lightweight one or find a SaaS provider and get it up in a day." With its sights set on the Fortune 10,000, OpenText wants to enable companies' transformations, and Barrenechea bills the company's soon-to-be-launched Release 16 as "the world's first digital platform." Much the way ERP comprises numerous components, so EIM has multiple pieces as well, including enterprise content management (ECM), business process management (BPM), customer experience management (CEM) and business intelligence (BI). 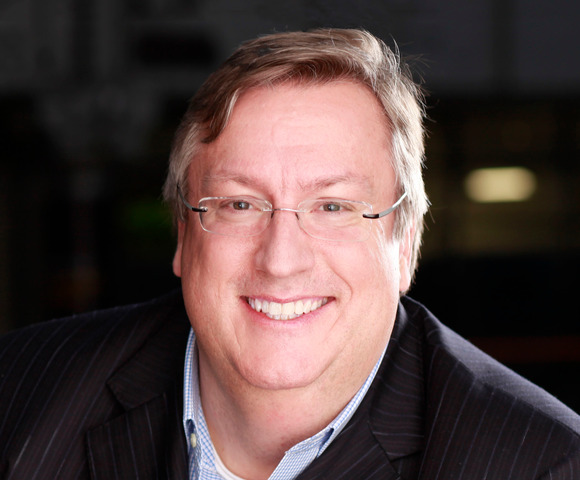 OpenText's focus is squarely on an across-the-board approach, and it claims to have earned 100,000 customers along the way. "We think suites always win," Barrenechea said. He considers IBM his company's biggest full-suite competitor, accompanied by a host of smaller ones focusing on individual pieces of the EIM pie. Only time will tell how well OpenText fares in the long run, but in the meantime, Barrenechea says companies shouldn't underestimate what's required in order to survive in the digital era. "Transformation is a powerful word and needs to be used sparingly and correctly," he said. But in the digital context, it's the right one: "One does not 'upgrade' to digital."